Shane has several years of advanced customer service and Business Management experience. 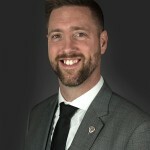 He has been Trading in real estate here in Edmonton since 2003 and began Managing the Platinum Team in 2005. Shane has received his Commercial Division License and is Accredited Buyers Representative ABR. Shane is a fun and energetic person and he helps to make the experience of selling or Buying your home a fun process. Shane's quick response time makes it easy for other REALTORS and prospects to get in contact with him. Shane's friendly and hardworking attitude helps to sell your property in a fun and informative way. He will go that extra mile to ensure your happiness and will work feverishly for your referrals. Shane and four partners purchased the RE/MAX River City office in 2008 and acts as the Director of Marketing for the brokerage. In Aug 2013 Opened a second location in Edmonton with over 150 Agents total. 2004 received the "Executive" Award in sales. 2005 member of the "Silver Club"
2006 - 2014 member of the "100% Club"